Senior secondary students (Years 10-12) study towards the Northern Territory Certificate of Education and Training (NTCET). 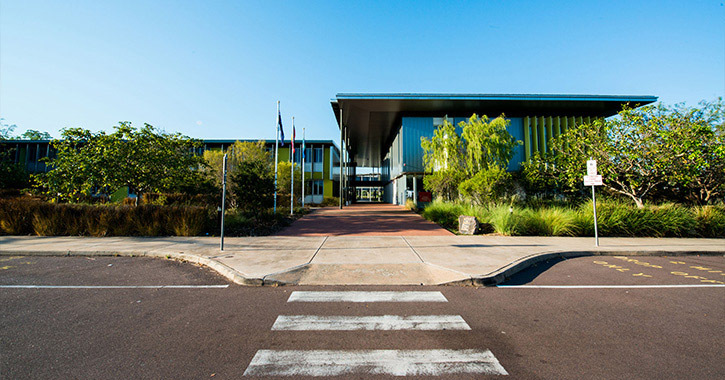 The NTCET is based on and administered by the South Australian Certification of Education. 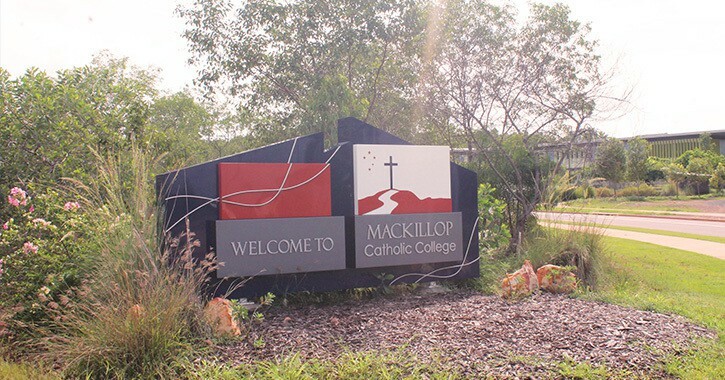 Students in Year 10 – 12 can start to accumulate credits towards their NTCET at MacKillop Catholic College by choosing either VET courses or Stage 1 and Stage 2 courses in their Subject Selection. An NTCET is awarded based on a credit system. Below is a depiction of the credit points that make up the NTCET completion. 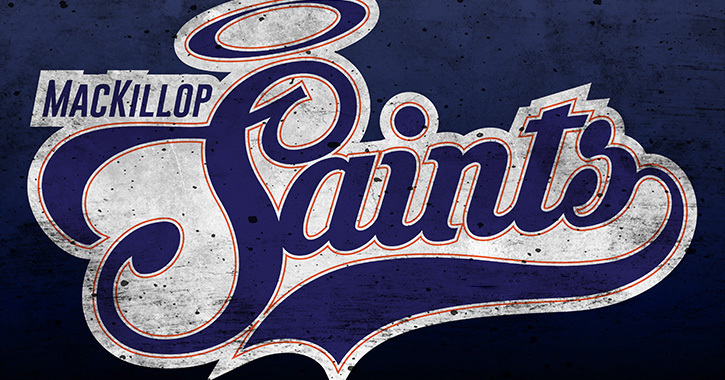 For a total of 200 credits, students have a variety of ways to complete their studies and gain recognition. 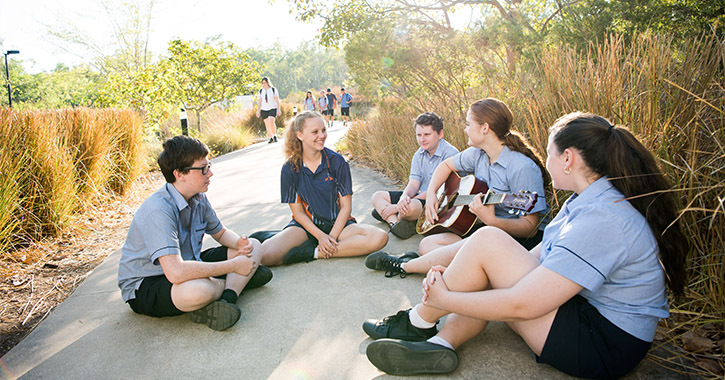 Your child must gain 200 credits in a mix of compulsory and non-compulsory subjects. For the compulsory subjects, a C grade or better is required to complete the NTCET. 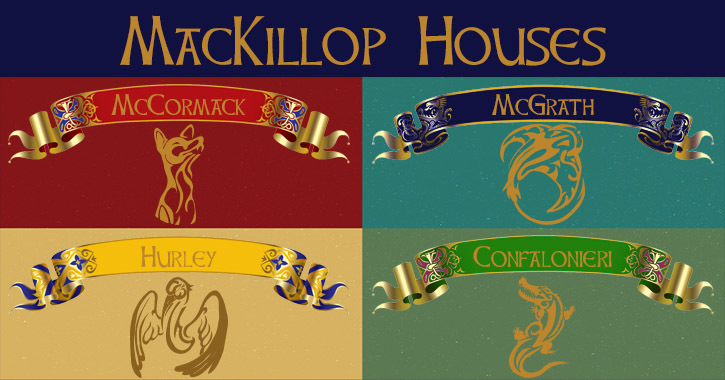 Compulsory subjects include the personal learning plan, English and mathematics. Your child can choose to incorporate NTCET studies with vocational education and training (VET) which provides skills for work, particularly in the trades and industry. 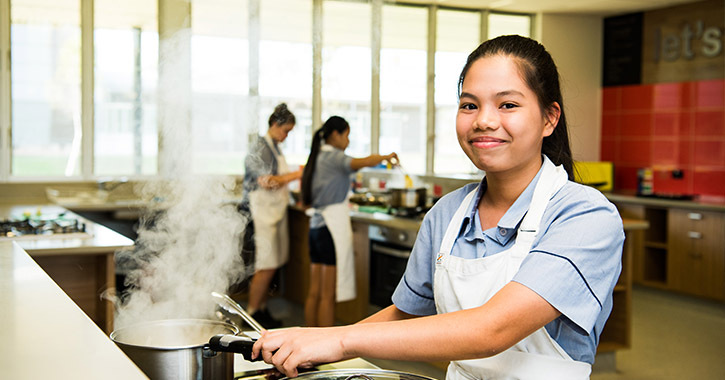 The Northern Territory department of Education can provide detailed information about how VET can be packaged into an NTCET score. 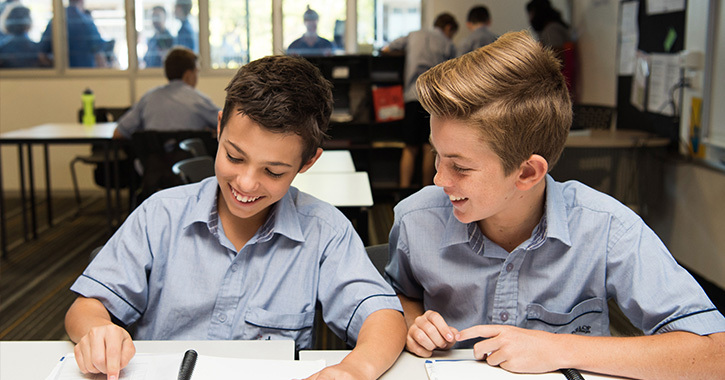 The South Australian Certificate of Education provides a recognition website which allows you to understand how VET achievements translate into NTCET credit points. 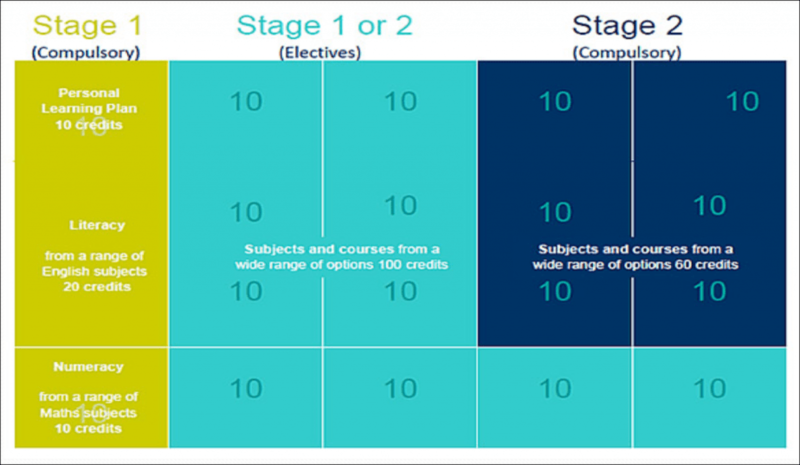 There are a wide range of ways to complete an NTCET and it is important to seek advice and understand the patterns in regards to subject selection. Below are two different example patterns of using Vet to make up credits within the NTCET.